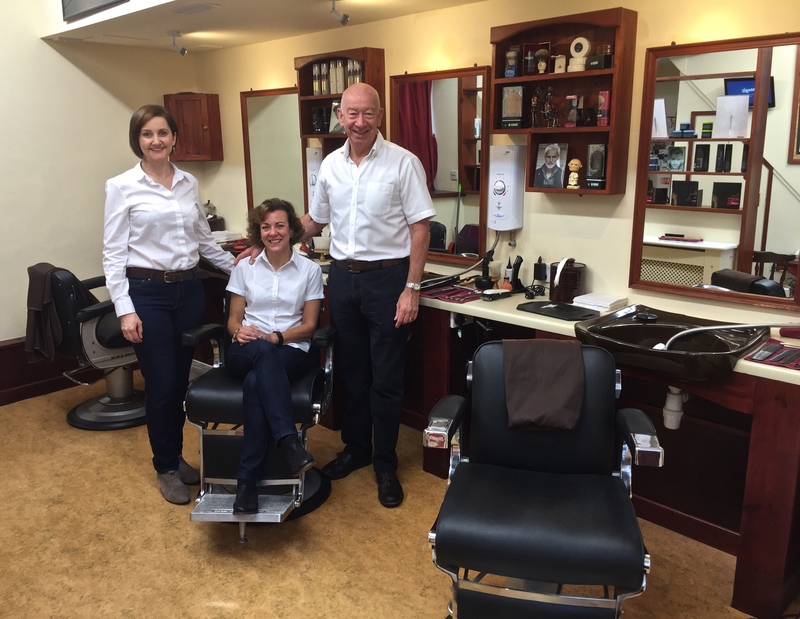 In 1994 Sally joined the salon and together with Alan & Pauline forged a formidable team, catering for many aspects of traditional and modern men’s hairdressing. Spring 2002 saw Alan & Pauline’s daughter Jenny become the latest addition to the shop’s team aiming to continue the family profession in which her father started in 1967. All staff are qualified Barbers with minimum of 14 years experience, Alan alone has been in the profession since 1967 and seen many trends and styles. But as well as many thousands of pounds being raised by customers and friends through the shop for local causes such as Hospiscare and other private cases, we have enjoyed a support money can’t buy from the wider community, learning from, and working with each other all the time..